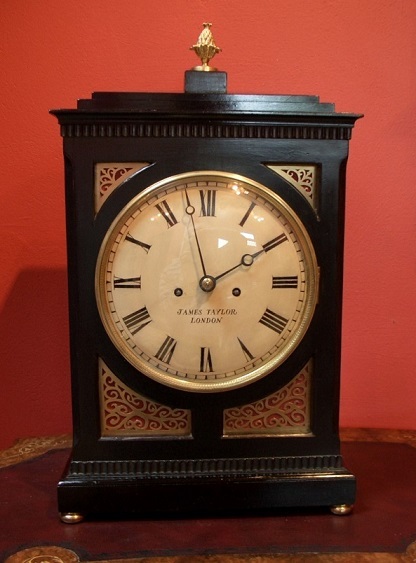 Fine example of a Georgian ebonised musical bracket clock made by James Taylor of London, c1805. 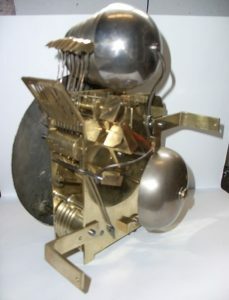 Twin train quarter chiming fusee 8 day movement with anchor escapement chiming on 8 bells. The painted dial signed James Taylor with Roman numerals and original moon hands. 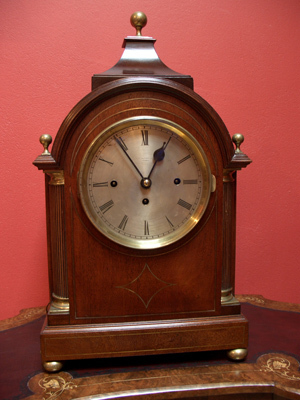 The case resting on brass bun feet with original acorn finial is inset with brass fretted corners lined with silk, has side glass panels and rear glazed door showing impressive movement. 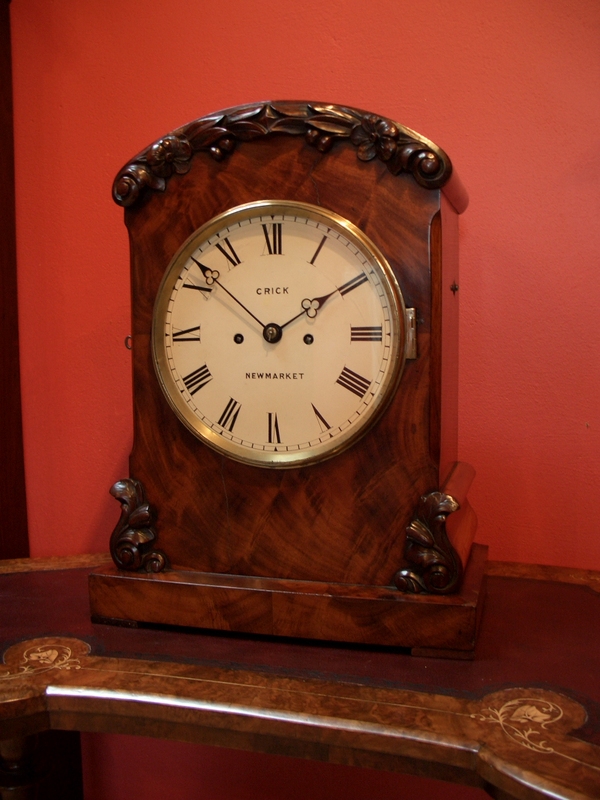 James Taylor was a member of the Clockmakers Company. Fully restored with one years guarantee.